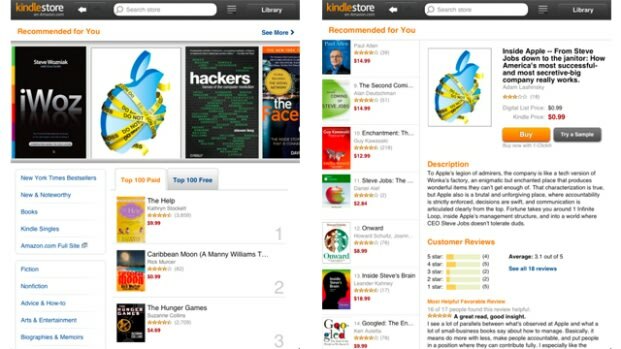 Today Amazon launched a new way for users to read and buy its Kindle books that doesn&apos;t require a Kindle or an app. The service, called Kindle Cloud Reader, is like similar Kindle reader apps for iOS and Android, but instead works in the browser using HTML5. Kindle Cloud Reader not only lets you read old books and buy new ones directy from within Chrome or Safari, but you can even store them for reading offline. The web app works in mobile Safari for iPad as well, creating a new way for Amazon to sell its Kindle books on the device without having to pay the 30 percent fee Apple claims on all goods and services sold within iOS apps. Kindle Cloud Reader will be available for Firefox, IE9 and the BlackBerry PlayBook in the "coming months." There is no support for iPhone... yet.